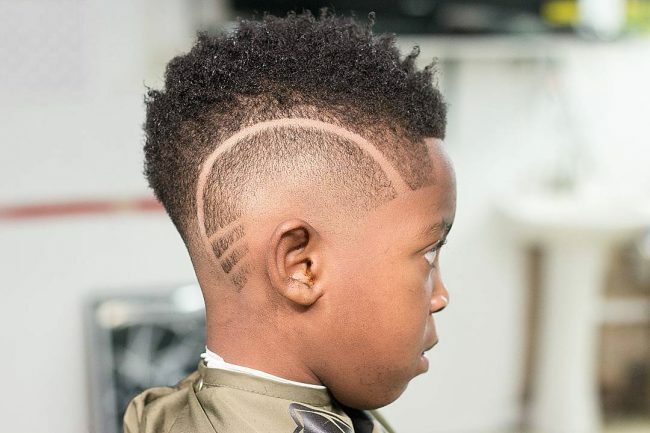 Ever heard of black boy haircuts? Well, this haircut is not new and has made a name for itself in the world of hairstyles. As the name suggests, this haircut is specially meant to up the looks of young boys. 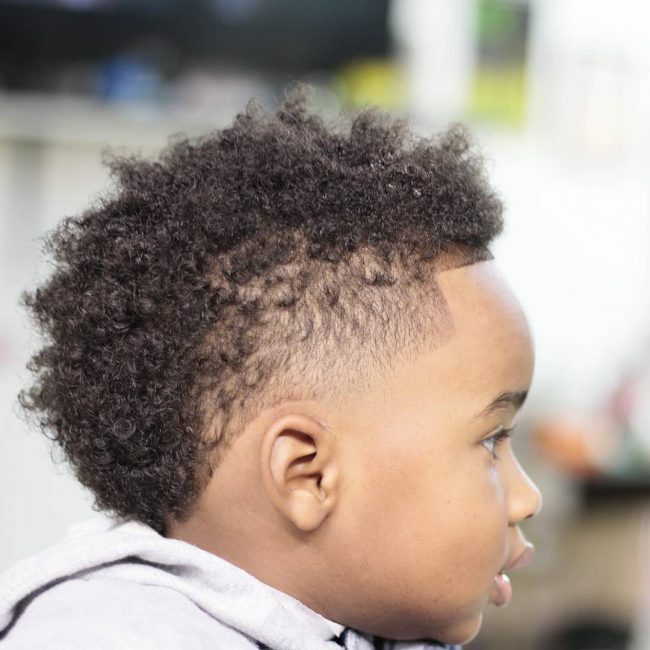 In this article, I’m going to walk you through the 25 best styles that will make your little boy ooze with unmatched elegance and take his vibrant young looks to the limits. 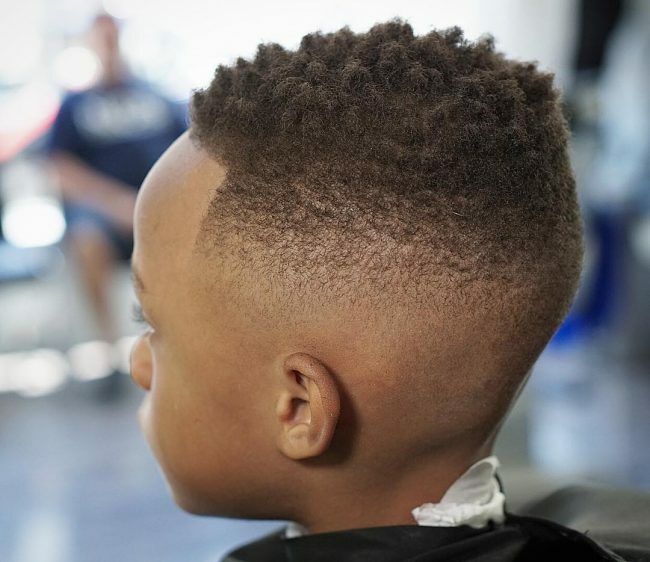 This is a clean fade cut that creates a fresh look. It sports curly hair on top with faded sides and back. The style features a hard razor part with well-defined outlines for that super elegant look. This style provides the soft touch of curly hair that covers the top and extends back to the nape of the neck. 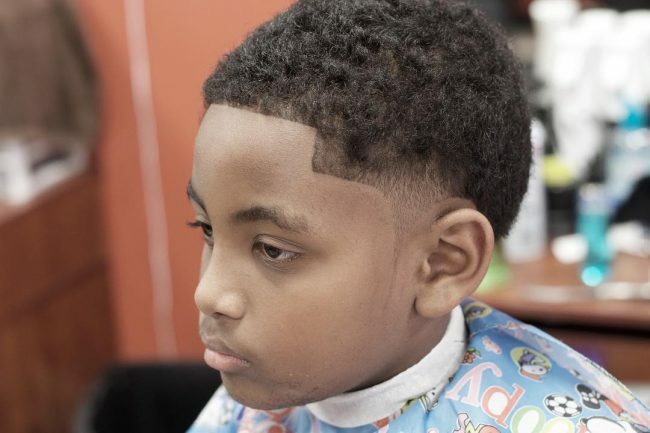 The sides are given a skin fade that takes the elegant boyish looks a notch higher. A surgical razor line carves into the top to add sophistication to this style. Here, you get a haircut that sports great simplicity. The manageable height provides the convenience of easy maintenance. 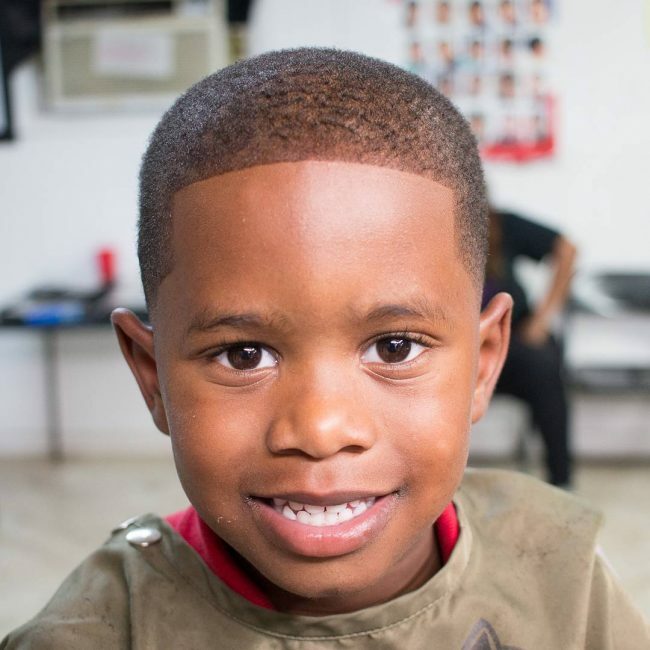 It is a uniform fresh cut that will look amazing on your little angel. This natural black hair is given some gelled look that makes it curl a little. The sides feature a skin fade that provides a clean and fresh finish. The style sports sharper lining that gives it an edgy look. 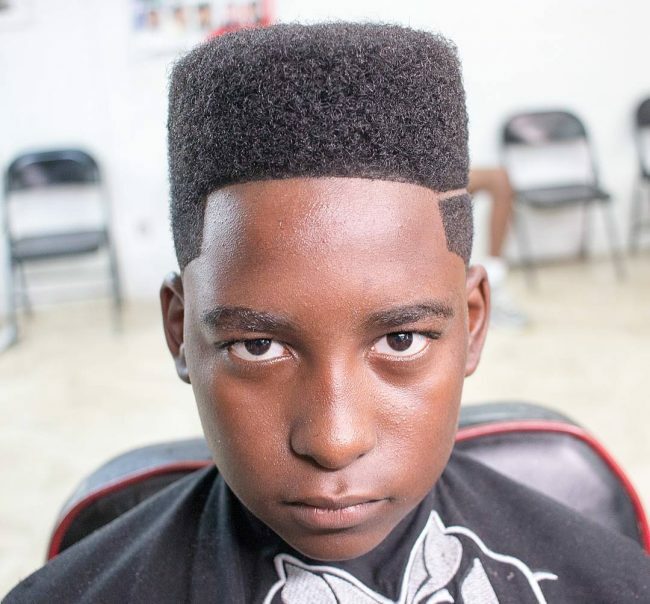 This is a creative version of the box haircut. It sports a longer top that is professionally trimmed. The sides and back are given a low fade with a unique razor part that makes it even more elegant. 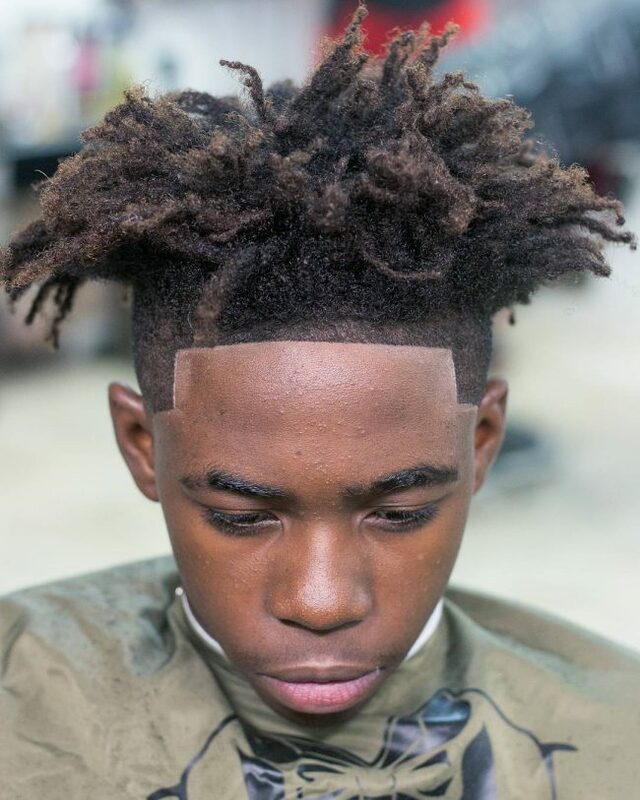 This style is a perfect display of the shape up haircut. This style provides the elegance of a curly coarse top that extends to the crown. 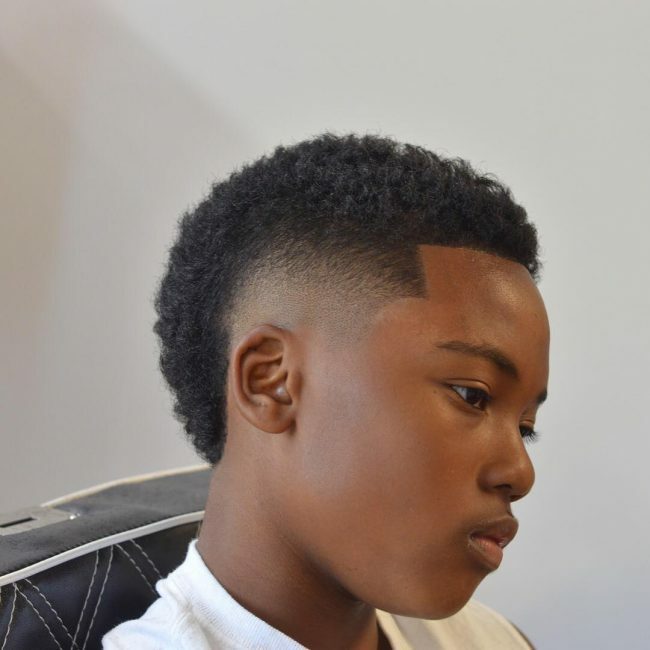 A medium fade cut adorns the sides and transitions into a skin fade that covers the occipital bone to the nape. A stylish surgical line is added to the side to create a statement. This is a shape up haircut that has a longer top that is highlighted with a blonde tone to up its looks. The sides and back are cut down to the skin to create a perfect bald fade. 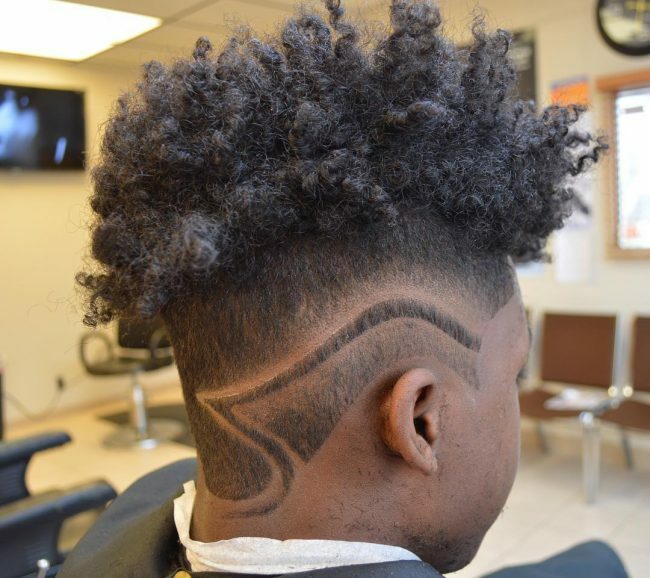 Sharper linings give this haircut an edgy look. This haircut has the elegance of a naturally curly hair that provides a soft touch. It sports a sharp fade at the sides with razor surgical lines that make it simply cute and sweet. This is a creative version of the Mohawk haircut. It sports longer curly hair that extends from the top to the nape. 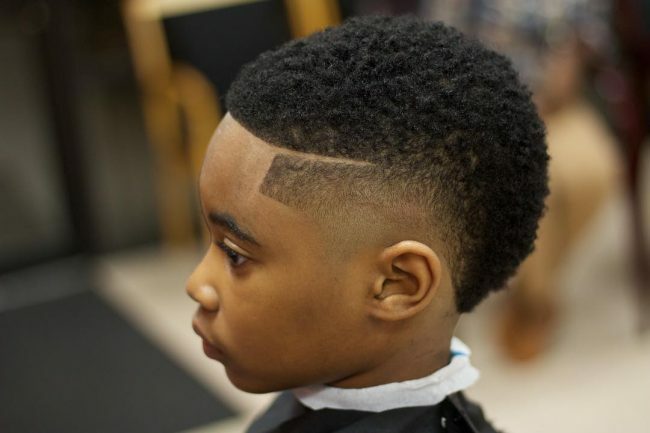 A fade cut covers the temple region and extends back to the occipital bone. 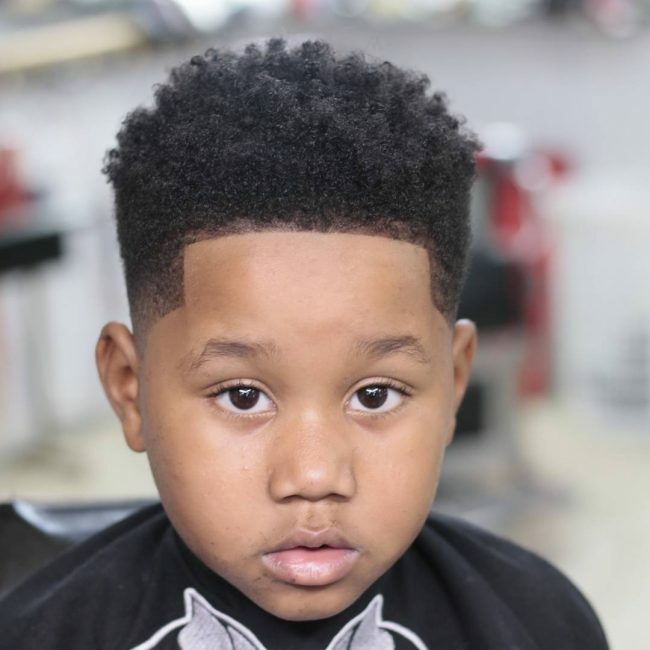 It is a sassy haircut for little boys who want to add more fun to their looks. This is a super cute haircut that sports a highlighted top. The hair is curled to give it more visual volume and a soft touch. The faded sides are adorned with lovely artistic lines that really make a statement. This haircut is simply a masterpiece. 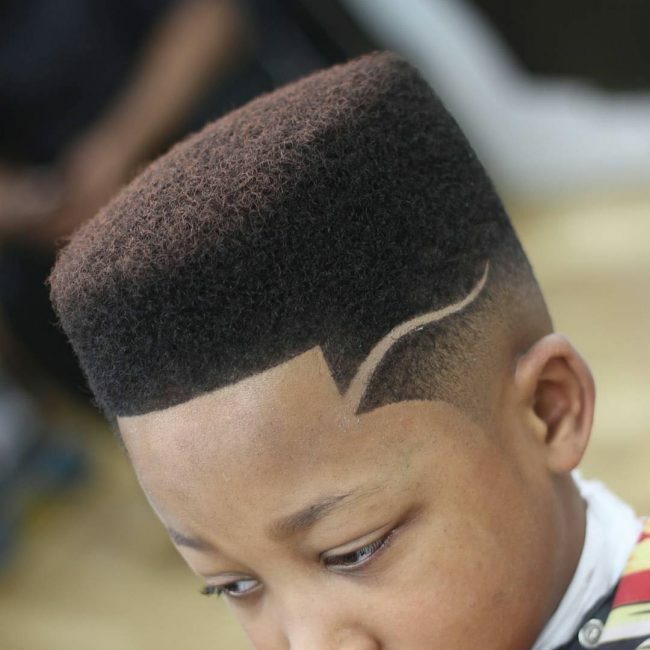 It sports a high-top with medium fade sides. Artistic surgical lines come in handy to add more creativity to this style. A small patch of hair is left below the nape to add some drama to this retro cut. Here is a brilliant way of giving your little boy the looks of a “rasta man”. The hair is styled into dreadlocks and cut into a perfect cropped haircut. This is a simple yet cool style that is quite easy to pull off. The longer front top extends to the crown with a gradual reduction in height. A stylish part line effortlessly carves into the top. 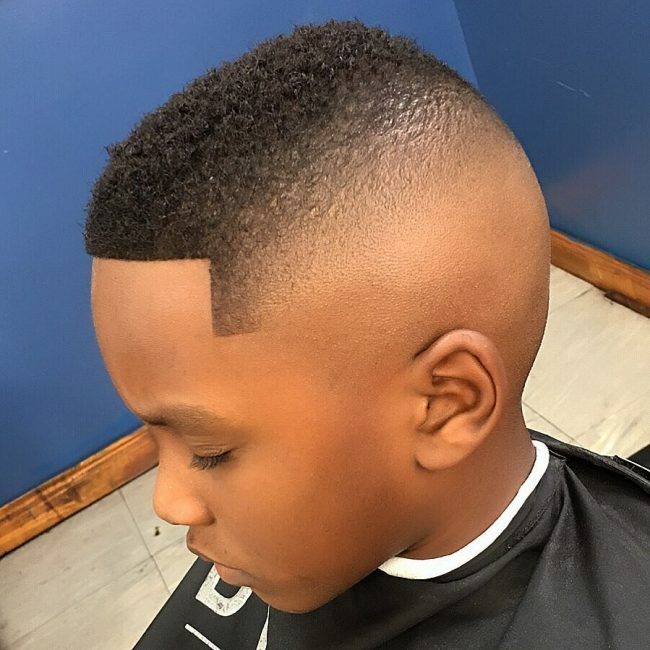 The sides are given a low skin fade that seals up this fresh haircut. This Mohawk sports thick and bushy locks that are allowed to retain their natural look. 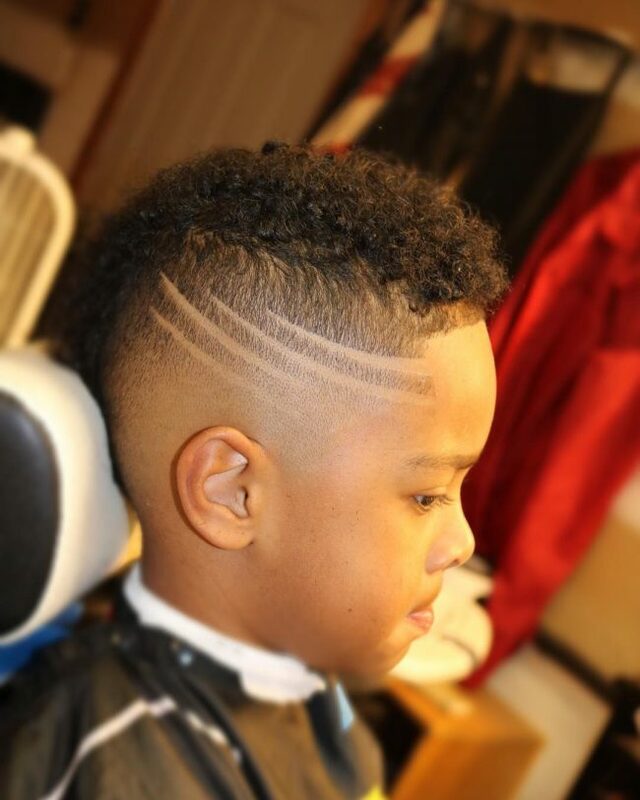 The haircut has a hard razor part with faded sides that create an elegant shape up Mohawk. This is a classic haircut that is given tons of texture to make it really stand out. The top and the crown sport longer hair that is given a taper cut at the nape. Faded sides with sharp linings add a cool touch to this style. This faded buzz cut looks classic with a modern touch to it. It has an artistic surgical line that carves through the sides. 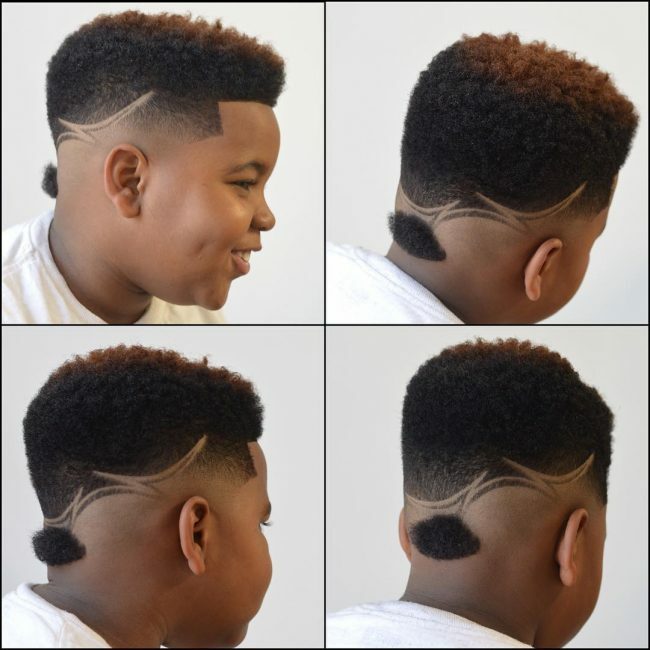 The temple and the occipital bone are given a fade cut that creates some contrast and adds more interest. The top locks are given some twist that add some more creativity in this style. The hair is all natural and styled into faded sides. The occipital bone and the nape sport a bald fade. The elegant look of this haircut is taken a mile further by incorporating artistic surgical lines. The hair sports a short buzz cut with a faded cut at the temple. This clipped afro looks amazing. It features a perfect balance between volume and density. It has a neat look that matches well with the fresh fade at the temple. The sharply curved linings make it absolutely stunning. This style creates the illusion of a short Mohawk style that lacks enough length. Short coarse hair covers the front to the back. A blurry fade adorns the sides and transitions sharply into a bald fade at the occipital bone. This is a classic and cool fade cut for short hair. It sports a hard razor part that extends from the front to the back to create a perfect L-shaped curve. 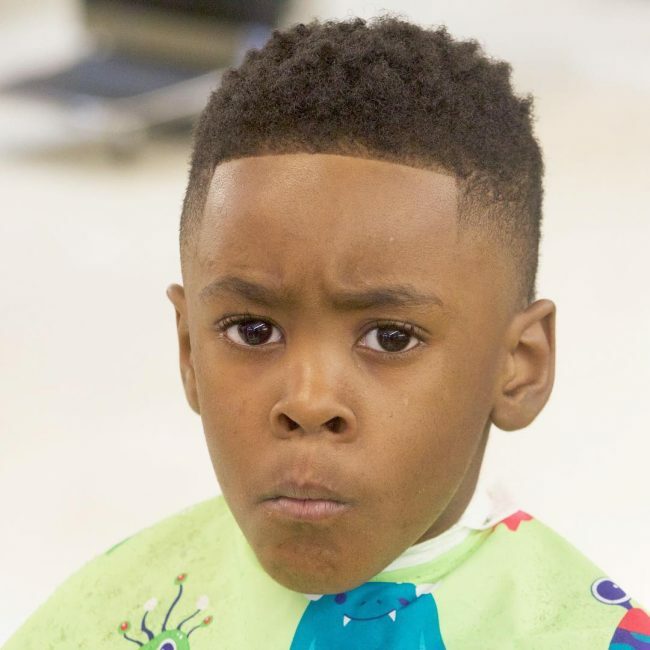 Faded haircuts create a more trendy look on young boys. But in case you want something unique that will actually stand out, then an imperfect fade cut will certainly work for you. This buzz cut sports a bald fade that covers only the area around the occipital bone. This style creates more of a girly look. 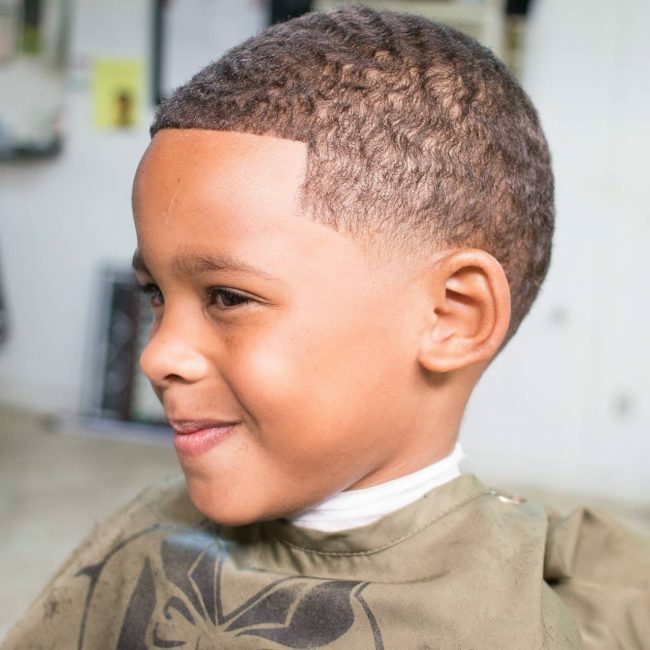 However, a fade cut at the front with sharp linings help retain some of your boyish looks. You get lots of creativity and volume in this style. The longer top is styled into frizzy curls that create more of a wild yet perfect look. 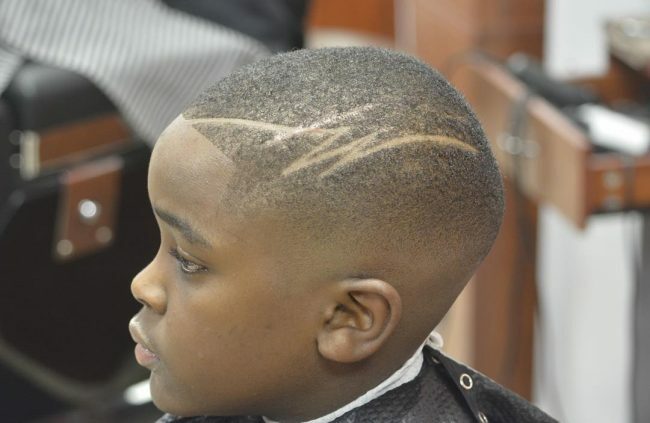 The buzz cut sides are adorned with nice artistic surgical lines. This classic afro is given a warm touch by highlighting the top with a blonde tone. Sharp linings make it edgy for a more fabulous look. These are the ultimate selections in black by haircuts. They are simply amazing and will make your little angel the envy of the whole neighborhood. Make your selection and give your little boy something to smile about.